Research has time and again indicated that a clean and tidy office promotes the working environment, and makes it a more happy place for the employees of the organization. 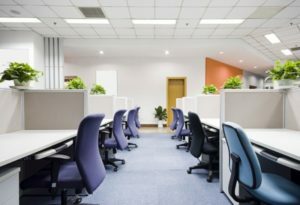 Getting your office cleaning planned is essential not just for health reasons but to improve the overall working environment of the organisation. If you are on a really small budget and you don’t think you could manage to get to hire professional cleaners, then it gets even more important to plan your office cleaning and get it done efficiently. Here is our guide to keeping your commercial establishment clean and tidy. Let your employees know that you expect them to clean and tidy their desks every day. Encourage them to use the disinfectant and wipes to clean the desk after lunch or snacking. Ensure that that the cleaning products like wipes, disinfectant are kept in a place that is easily accessible to your employees. Let them know where the materials are stocked so that they can use it to clean up their desk. Buy organisers to keep desks tidy. This will also make sure that the pens, pencils and other stationary are not just randomly thrown on the desk. It also makes cleaning of the desk easy as the desk is relatively clear of clutter. Dust collects easily when stationery is cluttered. So investing in these organisers could help you largely to keep the office and desks clean and tidy. Introduce a rota system wherein every week a different employee is responsible for hovering the carpet. If you have a kitchen area and microwave, it is important to keep these areas free of germs. Keep a disinfectant and wipes handy in the kitchen so if someone spills food or food particles splatter inside the microwave then they can easily clean up. Cleaning regularly will ensure that your cleaning task does not pile up. IT also makes it easy to clean up when it is not messed up. In particular it is important to clean the kitchen daily so that it is a simple wipe and clean. If you are working in a small establishment then getting it cleaned with the above steps would be possible but if yours is a bigger organization then it would be wiser to hand over the responsibility to a cleaning service. Call several cleaning agencies and ask them about the services they can provide. Get your free quotes, compare them and choose the one that will best suit your needs. Check for positive feedback on the service provider you have chosen before hiring the company.